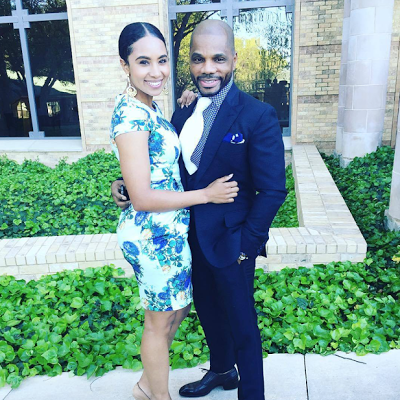 Award winning American gospel singer Kirk Franklin's eldest daughter Carrington tied the knot with her college sweetheart, Max. 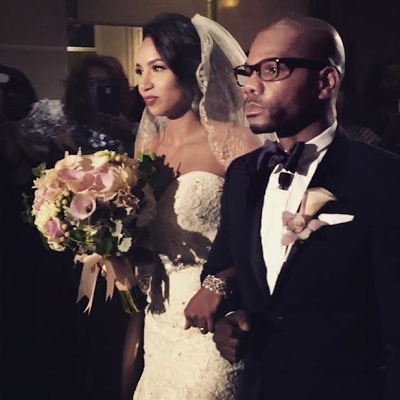 Kirk not only walked Carrington (his wife Tammy's child from a previous relationship whom he legally adopted) down the aisle, shared a special dance with her during the reception, he also officiated the wedding. 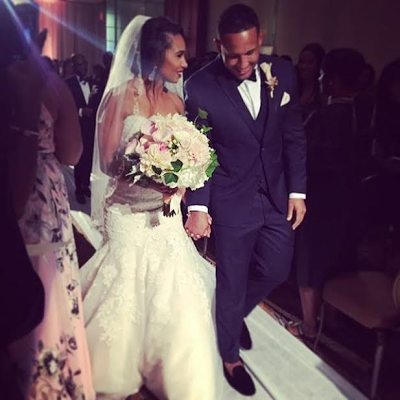 Minutes before the wedding, the choir director penned an emotional post about letting go of his baby girl. "She's getting married today.....and I've spent an hour and a half rewriting this. Crying, smiling, and preparing to let go, ....of my little girl. I will walk her down the aisle, then I will officiate the wedding. Why? Because I'm selfish, for my little girl. And she asked her daddy to! How could I say no?! I pray I don't make a fool of myself and cry more than I speak. God, it's so hard to release her. If I could I would keep her a little girl, FOREVER. Selfish, I know. But at this moment, I want to be. I want to go go- kart riding, jet skiing, middle school basketball games, movies over and over again....just me and her. This is hard as Hell. She has no idea, cause she's not a daddy. I am. A proud one. I hope I was a good one. I'm sorry for that one spanking you got that killed me more than it did you! I'm proud and love your future husband. Jealous, but proud. He comes first now. I'll have to get use to that, cause I'm selfish, for you. Only pictures get stuck in time, not people. They grow, and need to be let go.... I'm going to try really hard,...but please, when I see you with your new life, let me hold you every now and then, and pretend....that I'm never letting go. Forever daddy's girl.